Our services reflect the most important priorities for our region and clients. In addition, through the International Conflict and Security Institute, we provide services in Training and Capacity Building, Mediation and Dispute Resolution, and Policy Design and Roll-Out. ECAS provides non-securitised conflict management and stabilisation solutions that align the needs of our clients and their stakeholders. We bring aboard our experience working with governments, communities, and armed groups to set the course for informed company engagement and prevent runaway exposure or negative knock-on effects from security crises. ECAS designs and executes violence reduction strategies for a range of situations, including intra- and inter-community conflicts, conflicts between corporations and communities, and conflicts between non-state armed actors and governments. ECAS helps multilateral agencies, governments and non-governmental organizations integrate approaches that build the resilience of fragile countries and communities into their humanitarian and development assistance packages and operations. We add value through our deep expertise in a host of development sectors – from health and education to agriculture, water, and energy – and cross-cutting areas, especially climate change, governance, and gender. With more on the line than ever, corporations need to ensure compliance with international standards and to plan for effective engagement and safe and responsible operations in transition, fragile, and conflict-affected areas. Since 2003, we have been helping companies to operate sustainably, ethically, and profitably in complex and fragile environments, and have developed effective approaches to address hostile or sensitive situations. We work with clients, their partners and opponents to design customised solutions that create common ground and enable shared prosperity and a sustainable future. All the while, we take a scrip from the medical doctor on our team: prevention is better than cure; and especially in the event of acute crisis, the root causes of insecurity must be identified and treated. Our solution We provide non-securitised conflict management and stabilisation solutions. We bring aboard our experience working with governments, communities, and armed groups to set the course for informed company engagement. Locally-owned peacebuilding interventions are essential for organisations to secure their staff and assets and minimize risk volatility in their operating environments. For more than a decade, ECAS has helped governments, multilateral agencies, and corporations to stabilise volatile environments. We specialise in designing violence reduction early warning and response systems and programmes to yield security outcomes without resorting to hard security measures. Our toolbox for stabilisation and violence reduction includes community security systems, sub-national early warning and response activities, national and sub-national dialogue, conflict-sensitive area-based development programming, dispute resolution and mediation. We also work closely with security forces to normalise community relations and negotiate entry into violence-affected areas. The problem Armed violence, linking state fragility, political grievance, and the transnational trade in drugs, arms, and human beings • Civil conflict • Criminalised violence amid weak rule of law • Community-specific histories and attitudes that inhibit or enable certain kinds of violence. Our solution We take appropriate, and constructive action to prevent a crisis or stop escalation. We also devise longer-term measures to prevent violence and instability. What we do Violence reduction strategies • Stabilisation planning and implementation support • Conflict analysis • Risk assessment • Mediation • Negotiation • Design and implementation of preventive socio-economic and community security programmes. Our experts know much about the post-2015 development agenda – after all, they helped come up with it. 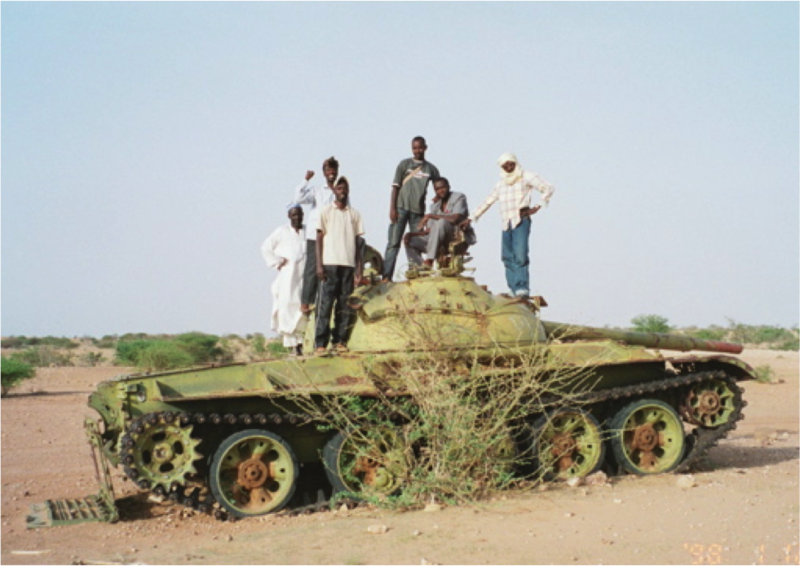 From the development goals of the last millennium to envisioning the goals for this one, ECAS has been at the forefront of preventing conflict and building resilient communities through conflict-sensitive approaches and early-warning mechanisms. 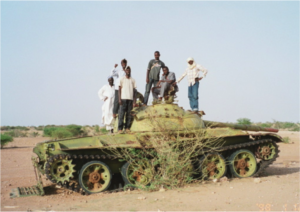 Bottom-up stakeholder engagement and local capacity for conflict management, combined with strong conflict analysis, are critical to the ambitious and cross-cutting post-2015 development agenda. We continue this work through a thriving conflict sensitive development practice. Our work for clients is about helping them better implement programmes in transition, fragile, and conflict-affected areas. We do this through a range of actions, including field research and analysis, monitoring and evaluation, programme design – and work on thematics such as climate resilience. The problem Rapidly changing conflict environments • Risk of collapse/relapse into conflict • How to strategically deploy limited assets and resources for maximum benefit while avoiding duplication of efforts. Our solution We help multilateral agencies, governments and NGOs integrate resilience building into humanitarian and development operations in fragile contexts in the wake of natural or man-made disasters. We employ tools that foster peacebuilding and sustainable development, as well as Do No Harm. We continue this work through a thriving conflict sensitive deelopment practice. Our work for clients is about helping them better implement programmes in transition, fragile, and conflict-affected areas. We do this through a range of actions, including field research and analysis, monitoring and evaluation, programme design – and work on thematics such as climate resilience. The Outcome We delivered a final report and action plan for the client, and facilitated a workshop for their human rights working group where the plan was developed and adopted. The problem A client dispute with a community meant that access to a 10-km stretch of land was blocked. A development finance institution required them to use ADR expertise to address the dispute. The outcome The assignment concluded with peaceful re-entry into the site and completion, with minimal obstruction, of works. The problem Our client faced violent opposition to access a water treatment plant in a Marsh Arab community in Iraq. Opposition was also rooted in community marginalisation, suspicion of the client and regional government, and a legacy of unfulfilled promises of development projects in the past. Violence included stone throwing at vehicles and the occasional use of firearms. 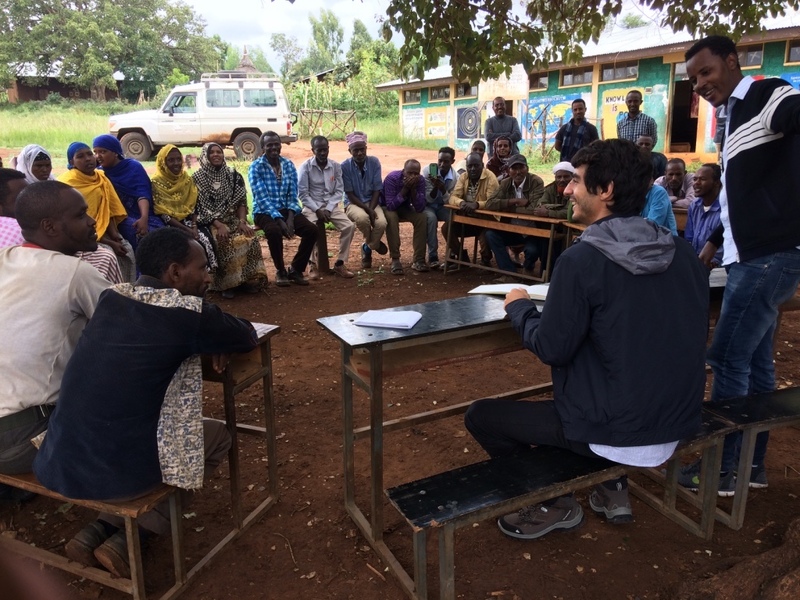 What we did We worked closely with the client team to understand drivers of conflict, advise on situation management, and review company efforts to engage with the community to date. We then facilitated and helped the client team develop a strategy to arrive at a social license to operate for the company. We trained company staff in intervention design and dispute resolution skills and accompanied strategy implementation over six months. Our advice also covered engagement with key Iraqi stakeholders and liaison with security providers, and work with local NGOs to design conflict-sensitive local development projects. 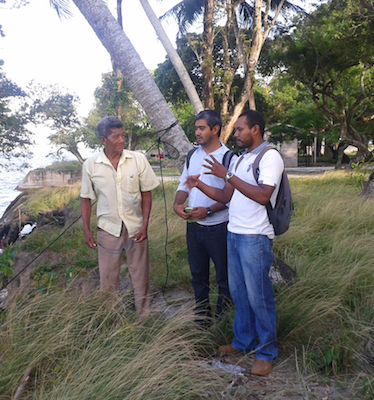 The Outcome The client secured access and the community license to operate the water treatment plant. Evaluation of the Crisis Response and Preparedness Component of the European Union’s Instrument for Stability (IfS). Location Global, with field visits to Georgia, Sudan, Somalia and Indonesia. Context A global fund of EUR2.2 billion, the Instrument for Stability (IfS) was created in 2006 to enhance the EU’s capacity and tools to undertake urgent short-term crisis response measures and medium- to longer-term actions covering crisis preparedness and trans-regional threats and CBRN (chemical, biological, radiological and nuclear weapons) non-proliferation. What we did We undertook a review of the crisis response and preparedness component of the IfS. As a programme-level review, we covered the whole IfS portfolio of actions related to crisis response and preparedness, assessed available analyses and fiches techniques, and the strategies of the European Commission/EEAS in relation to target countries. The team carried out country-level visits to Georgia, Sudan, Somalia and Indonesia, which involved ‘deep dives’ into actions and impacts. Extensive consultations and interviews were done in Brussels and in-country, and remote surveys were used to capture views of recipient organisations, beneficiary governments, and other stakeholders. Final output The final report is available online. What we did We assessed the impact and effectiveness of humanitarian assistance in Syria, Jordan, and Lebanon, as provided by a consortium of 11 NGOs in six sectors serving 558,693 beneficiaries with a budget of €12 million. The evaluation applied quantitative and qualitative methods to collect and analyze data across sectors and countries. The evaluation team overcame challenges in the operational environment to be the first company to access and collect data from beneficiaries in both government-held and non-government-held areas inside Syria. The outcome We advised the consortium on how to improve the interagency model and streamline delivery for the next phase of assistance. We were subsequently contracted for the global assessment of the entire Dutch Relief Alliance, overseen by the Dutch Ministry of Foreign Affairs. The outcome The assignment concluded with a peaceful re-entry into the site and completion, with minimal obstruction, of the works.